You could say it all adds up. One dad, one mom plus two kids equals a family business. 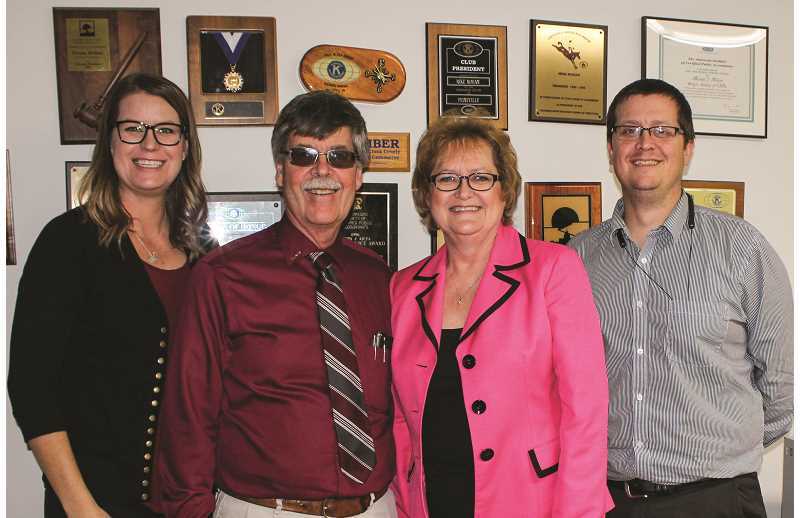 It was 35 years ago last month that Mike Mohan opened his own certified public accounting business in Prineville. Little did he know that his two young children would someday be working right alongside him and his wife. "We hired them to give them a start, and then we kept them because they've done great work," Mike says of his two children, Lauren Klontz and Justin Mohan. Mike and Donna were Crook County High School sweethearts. He graduated in 1972, and she graduated the following year and went to work for the U.S. Bank in Prineville. They married in 1974 while Mike was pursuing an accounting and finance degree. He graduated from Oregon State University in 1976. "I transferred to Corvallis when we got married, and I worked there and put Mike through college," Donna says with a laugh as their son, Justin, groans, having to hear the whole story again. 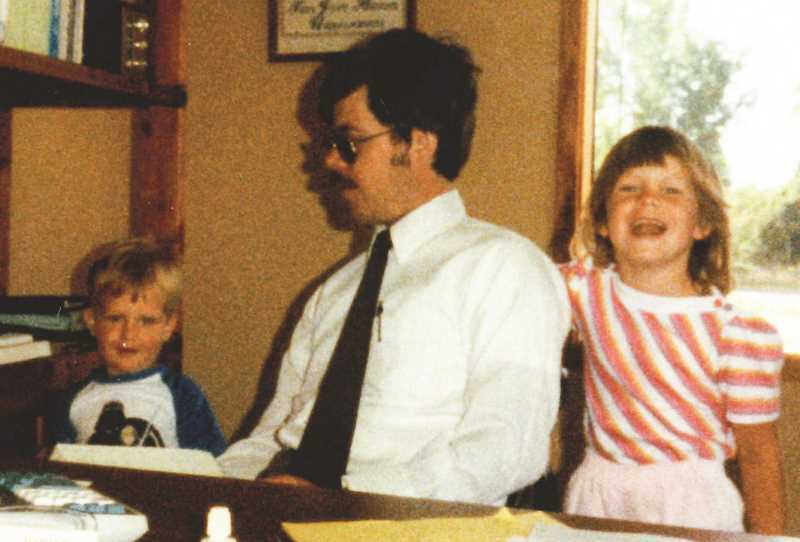 Mike took a job in Corvallis for a short time, and their daughter, Lauren, was born before they moved to Bend in 1979, the same year he got his certified public accountant certificate. He worked for an accounting firm in Bend for two years before partnering with the husband of one of Donna's Corvallis U.S. Bank co-workers. The partnership of Barton and Mohan opened the Prineville office in August of 1982. "We were together for about a year and a half, and then he wanted to get out of it," Mike said. "We split up the firm." In December of 1983, Michael J. Mohan, CPA opened in a little house at the corner of Northwest Beaver and West First streets, which is now Bonnie's Hair with Heart. Donna, meanwhile, worked as a chiropractic assistant, and they continued to live in Bend. In 1988, they moved their business a block away to the current location, at the corner of North Main and East First streets. It's only fitting that the Mohans work in what was once the home of an early Prineville family. The home originally belonged to a physician and his wife, John Henry and Lulu Rosenberg. "Doc" Rosenberg was an early Prineville mayor, and Lulu was the granddaughter of Monroe Hodges, who platted the town site of Prineville. One section of the home had been built around 1907 and added onto in 1929. The Mohans added the newest part of the building in the fall of 2014. The family moved from Bend to Powell Butte in 1990, and a couple years later, Donna began working part-time for her husband. In addition to helping out with the accounting business, Donna also owned The Posie Shoppe with her sister for five years. But by 2003, she realized she needed to focus on one or the other and sold her share of the flower shop to her niece. She became a licensed tax preparer that same year. Meanwhile, Lauren and Justin had ventured away from home, going to college, starting careers, marrying and starting families. For 10 years, Justin worked for the Oregon Department of Forestry. Then one winter, he got laid off and helped his parents at the office during tax season. By 2008, he had decided he liked the climate controlled CPA office over the extremes of working during the fire season and in the winter snow. He didn't want to be starting a family with an erratic work schedule, so he became a licensed tax preparer and went to work for his parents. Justin then earned an accounting degree from Eastern Oregon University in 2013. Currently, he is a CPA candidate and hopes to pass the required exams this year. Lauren earned a marketing degree from Southern Oregon University and took a job at the Les Schwab headquarters. Eventually, she and her husband were thinking of starting a family, and she would not be able to work part time or from home with her current job. "I knew I wanted more flexibility," Lauren says. So, she became a licensed tax preparer and began working part time for her parents and alongside her younger brother in 2009. "I really enjoy the tax preparation – taking messes and organizing them," Lauren says. "The tax law changes, and that keeps it interesting." Justin says he likes helping people grow their businesses and all aspects of accounting. "I enjoy working with clients, and I enjoy digging into big projects and making it nice," he says. "When you're working with numbers, you've got to figure out something that makes it fun." The Mohans have two other full-time staff members and bring on three temporary workers during tax season. Aside from tax preparation, they also offer tax planning, payroll services, bookkeeping and QuickBooks consulting. "We work with a whole lot of individuals, and probably over 90 percent of them are people from Crook County and the other 10 percent are all over the place," Mike said. People often wonder how the family can work together. "Well, I like them," Lauren laughs. "We all get along pretty well, and we can be honest with each other without getting feelings hurt. I think we communicate really well." Donna says they all work well together. "We've always treated it like this is business, and then we have family. It's two different things," she says. For now, the Mohans are happy with the arrangement, but they know that eventually the parents will want to retire. Mike says his son will most likely take over the practice eventually. "That's been our plan so that we don't have to sell the practice and our clients don't have to work with somebody they've never met and don't know," Mike says, adding that he and his wife will probably work during tax season after they retire from being there full time. "Justin is my retirement plan," Mikes says as his family laughs. "My succession plan, I guess I should say."